The Danfoss PLUS+1® GUIDE Service Tool provides the ability to monitor and tune the operation of all modules on a PLUS+1® network. Standard features of the Service Tool include bar graph displays, oscilloscope displays for trending and tuning, and data export to spreadsheet tools. User-defined graphics allow the Service Tool to have a proprietary look and feel. Use this important tool for data logging, read and write access to tuning parameters, real time access to PLUS+1 controller operation, remote access to any module on the PLUS+1® network. Download Our Step-By-Step Service Installation Guide & Get Started Today! Download and install the PLUS+1® Service Tool on your PC. Ensure you have a completed controller application or diagnostic file to use within the PLUS+1® Service Tool. CAN Hardware installation – It is necessary to install CAN driver software before using the PLUS+1® Service Tool. Plug in the PLUS+1® CG150-2 USB cable to the PC USB port. The Hardware Wizard searches for and installs CAN software. This may take several minutes. Click Close to close the Driver Software Installation dialog. The following message appears when installation is complete. In order to interface with an ECU application, a service application file is needed. Service application files can contain both Log and Parameter pages. There are two ways to open service application files in the PLUS+1® Service Tool application. 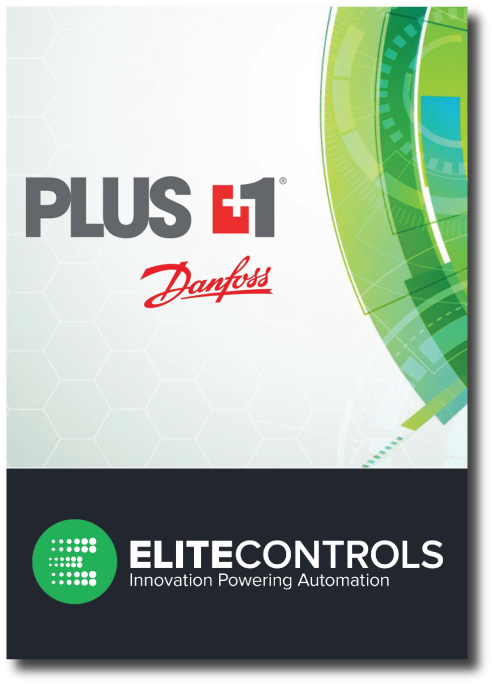 If you’d like more assistance – please contact our team of experts at Elite Controls, Inc. We specialize in Danfoss PLUS+1® GUIDE and mobile control systems. For step-by-step instructions, see download the Elite Controls Service Installation Guide!